Put your Eagles spirit on display in this Philadelphia Eagles Long Sleeve Hoodie! 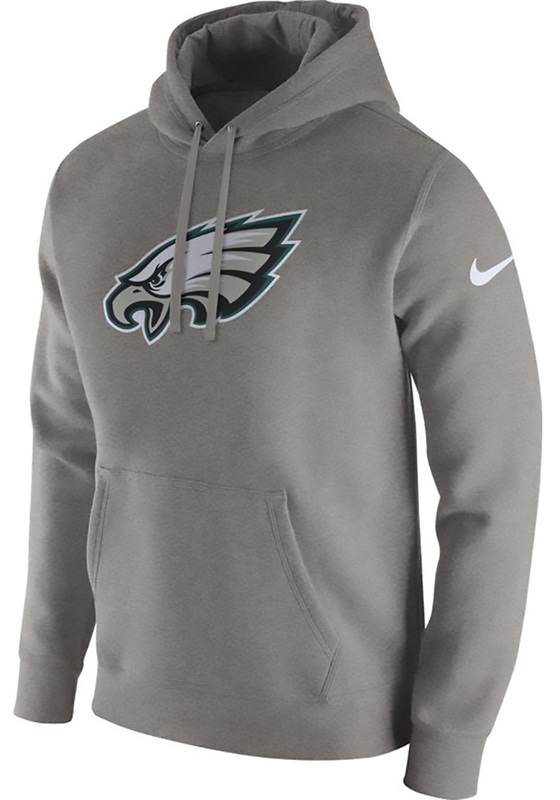 You'll be cozy on game day in this Philadelphia Mens Grey FLC Club Hooded Sweatshirt. This Eagles Long Sleeve Hoodie features a Long sleeve hoodie with team graphic on chest.. Wear your Philadelphia Eagles spirit with pride in this great Mens Hooded Sweatshirt! Got this hoodie as an early birthday present and I instantly loved it. It keeps me warm during the winter tailgates and is great for casual Fridays at work.